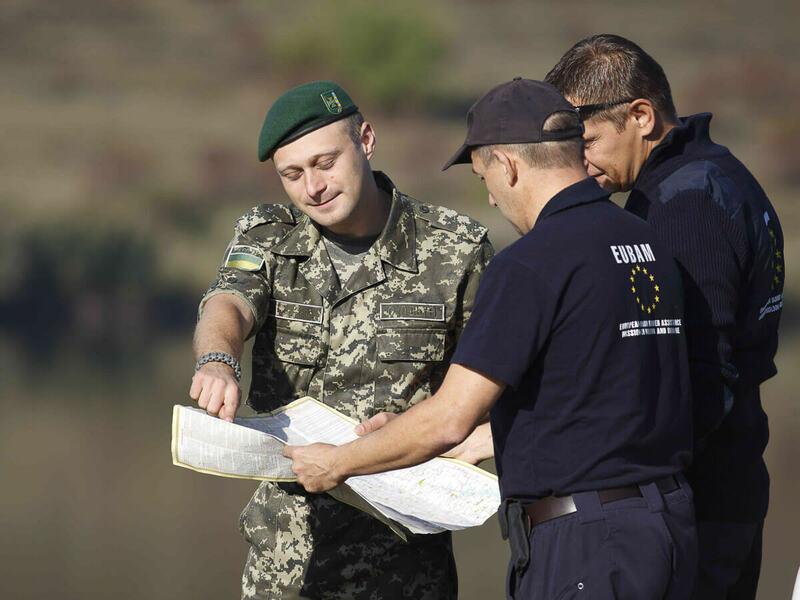 EUBAM works with Moldova and Ukraine to harmonise border control, customs and trade standards with those in the EU, and to improve cooperation between border and customs agencies and other law enforcement bodies. It also assists them to fulfil the obligations of the Deep and Comprehensive Free Trade Area (DCFTA) with the EU, and contributes to the peaceful settlement of the Transnistrian conflict through confidence building measures and as a monitoring presence. assist the Moldovan and Ukrainian authorities to combat cross-border crime more effectively. Advises on approximation of customs regulations and duties between Chisinau and Tiraspol. Advises Chisinau and Tiraspol on further simplification of formalities in trade in goods. Arranges joint anti-smuggling operations between Chisinau and Tiraspol customs structures. Promotes co-operation between Chisinau and Tiraspol to uphold regional consumer safety. Develops transport related confidence-building measures in co-operation with the OSCE. Supports partner services in establishing jointly operated border crossing points along the entire Moldovan-Ukrainian border. Ensures full implementation of One-Stop-Shop concept for clearance purposes at border crossings. Supports inter-agency mobile groups based on intelligence-led activities in co-operation with Frontex. Monitors implementation of EU Visa post-Liberalisation Action Plans in both Moldova and Ukraine in the areas of: border management, migration management, combatting cross-border organised crime and freedom of movement of citizens of both countries. Assists in the prevention, detection and investigation of cross-border crime. Develops capabilities of partner services on the illegal trafficking of arms, ammunition, radiological and nuclear materials. Planning, conduct and evaluation of joint border control operations with partner services and in co-operation with Frontex, European Anti-Fraud Office (OLAF) and South European Law Enforcement Centre (SELEC). Launched in 2005, the mandate of the Mission has already been extended five times (in 2007, 2009, 2011, 2015 and 2017), with the current mandate expiring on 30 November 2020.